Friday 7th December, 2018, was the final burial of late veteran comedian, Pa Moses Olaiya Adejumo popularlly addressed in his lifetime as Baba Sala. 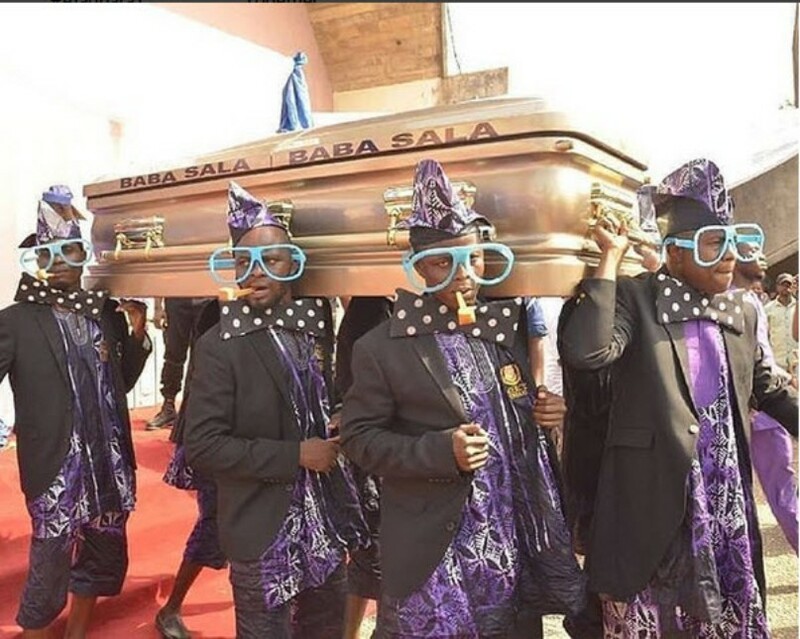 Baba Sala, in an event which could best be described as carnival, was buried in his hometown, Ilesa, Osun State. The whole of the town was on stand still all through as friends, fans, colleagues and family bade the 'Awadakerikeri' creator goodbye. The long celebration of Baba Sala’s well spent life kicked off on Wednesday 28 November with Symposium and Public Lecture at the National Theatre, Iganmu, Lagos. The day Thursday 29 November, there was a Mega Music Concert in honour of the deceased at Blue Roof, Lagos State Television (LTV); Lying in State at the Cultural Centre, Ibadan and Service of Songs at Baba’s church, the Sacred C&S, Idasa. On Thursday 6th December, 2018, there was Christian Wake and Artists Night at Baba Sala's residence, No. 1, Grace Olabisj Close, Abimbola Avenue, Ilesa. Dignitaries who graced the Ibadan program include Governor Abiola Ajimobi of Oyo State who was represented by the state’s Commissioner for Information, Culture and Tourism, Toye Arulogun. Others at the event were Pa Lere Paimo, Dele Odule, Peju Ogunmola, Tubosun Odunsi, Aderupoko, Mr Ayo Ogunsina, popularly called Papa Lolo; Rose Odika, Chiefs Toyosi Arigbabuwo, Jinadu Ewele, Veteran Broadcaster, Chief Yemi Ogunyemi, among others. Recall that Baba Sala died at his hometown, Ilesa, on Sunday 7th October, 2018, at age of 81. The funeral service, however, held at the Sacred Cherubim and Seraphim Church, Idasa No. 1 Model Parish & Idasa No. 1 District Headquarters, Ilesha. After which the deceased remains was interred at his residence. It was indeed celebration of a life well spent for the 'King of Comedy’s as Baba Sala was referred in his lifetime. As big as the church is, it couldn’t contain the marmot crowd at the church service. The street that leads to the church was jam-packed, making it difficult for both vehicular and pedestrian movement. 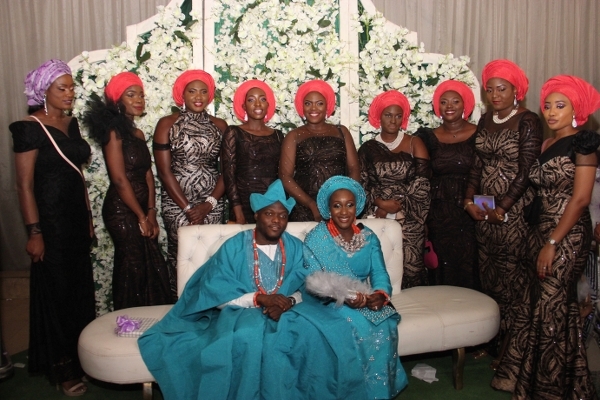 Guests were later entertained in a colourful and glamorous reception at the popular Zenabab Half Moon Resort, Ijebu-Jesa Road, Ilesa. It was an open space event, where canopies were erected to support the existing gazebos, which were strictly carved out for the VIPs guests. All canopies were also labelled for guests to know the appropriate place to seat. It was well planned and a wonderfully executed project for the planning committee, under the chairmanship of Superintendent Apostle J. O Olagunju. All the burial programs including the grand finale were graced by top dignitaries, different groups, captains of industries, both known and up coming theatre practitioners across the country, top government officials, TAMPAN members, ANTP members, politicians, top players in the entertainment world amongst others, whose names are too numerous to be mentioned. Some notable faces at the burial ceremony include Pa Lere Paimo aka ‘Eda Onileola'; Gabriel Afolayan, son of the popular late dramatist, ‘Ade Love'; Kayode Elesho; Chief Dele Odule; Iyabo Ojo, among others. The mega party was expected to celebrate a man who contributed immensely to the development of the Nigeria’s entertainment and movie industries, especially the comedy sector. Give it to Baba Sala, he was an icon whose life was an inspiration to others, he was a mentor to several people and a source of happiness to many homes. No wonder he was honoured with award of Member of the Order of the Niger by the then Military Head of State, General Olusegun Obasanjo, in 1996. It was a tribute galore for Baba Sala as the former President, Olusegun Obasnjo; Governor Abiola Ajimobi; Governor Rauf Arefbesola; Owa of Obokun land, Oba Adekunle Aromolaran and several others sent in their condolence messages. The other side of Baba Sala many don’t also know is that, he was a good Christian; he served God till his last day on the earth. He was the Senior Elder Apostle of the Sacred Cherubim and Seraphim Church. Senior Elder Apostle Dr. Moses Olaiya Adejumo, JP, MON was born to the family of Mr. Ebenezer Oyedeji Adejumo, the Abogunloko of C157, Ijoka Street and Mrs. China Moriyewon Adejumo (Nee Akintoye) of Fagunwa Quarters, Idipe, Okitipupa in Ondo State, in May 17, 1937. He was the second child and the first son of the family. Having lost their mother at a very tender age, Baba Sala and his elder sister, late Mrs. Grace Otun, were raised by Thier grandmother, late Madam Comfort Shalaye Adejumo. Baba Sala attended the Methodist Primary School, Like Else, Ilesa; St Luke's Anglican School, Jos, Plateau State and later Obokun Boys' High School, Ilesa, where he completed his secondary school education in 1958. His entertainment career kicked off when he was in secondary school, where he started performing magic at shows, schools and other public places. Late he let go of the magic and joined the Cherubim and Sheraphim Church. He once worked as driver with Empire Hotel at Yaba, Lagos, before he learnt the trade of music in 1960. He was a member of Ade Federal JuJu Band before he formed his own band, called Moses Olaiya and His Federal Rhythm Dandies. In-between all these, he got employed at Lagos City Council as a Sanitary Inspector between 1960 and 1968. He was performing at the Palace Hotel, Broad Street, Lagos. KSA later joined his band in 1962 before he formed his own band in 1966. That is why King Sunny Ade respected and remained loyal to Baba Sala till he died. In 1965, Baba Sala formed his theatre group called Moses Olaiya Concert Party. He attended Mr. Christopher Olude's Adult Drama School between 1966 and 1967 in order to brush up his theatre skill. His contemporaries in that school then include the late Adeyemi Afolayan (Ade Love). In 1969, Baba Sala moved to another level of his career when he formed 'Alawada Group International Limited, with which he toured the nuke and cranny of Nigeria and some Africa countries and beyond. He took it to USA, UK and many other countries. He was awarded Member of the Order of the Niger in 1978 by the then Military Head of State, General Olusegun Obasanjo, in 1978. He was also awarded with an Honorary Doctorate. 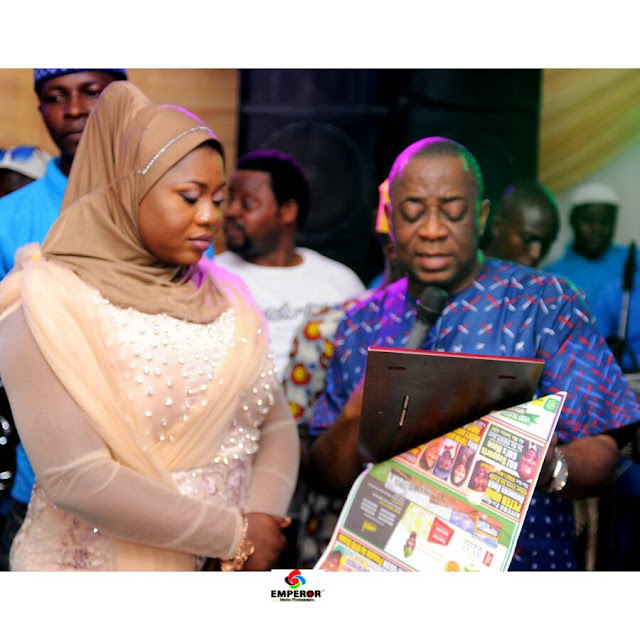 He was the Chairman and Managing Director of Awada Group International Limited, which comprises Alawada Theatre, Alawada Records, Alawada Movies and Alawada Standard Hotel, Ilesa. Baba Sala was a devoted Christian and good apostle of God. Some of his works include Orun Moody, Aare Agbaye,Mosebolatan, Obeegbona, Agha Man, Diamond, Return Match, Ana Gomina and several others. He is survived by wives, children, grandchildren and great grandchildren.